The Statista Consumer Market Outlook provides in-depth market insights, key performance indexes and forecasts for consumer markets. In 1994, IBM brought the first smartphone to market, but only 13 years later – on January 9, 2007 – did Apple propel a new era of telecommunications by launching the iPhone. In the past years, smartphones have become synonymous with mobile Internet and have triggered a wave of innovations that has reached software firms, computer manufacturers, raw material suppliers and above all social media, and continues to drive them until today. Between 2010 and 2016, revenues from mobile phones increased by 41%. In 2016, a turnover of 158 billion US Dollars was generated with mobile phones. In the same period, volume sales of mobile phones in Europe and North America only increased by 4% to 357 million units – more expensive smartphones are substituting the previous feature phones. While 2016 saw mobile phone volume sales of 357 million units, in 2017 the number decreased to 355 million units, suggesting that the limits of growth have been reached. A high number of consumers in Europe and the US own advanced smartphones while the number of competitors on the market has risen remarkably. 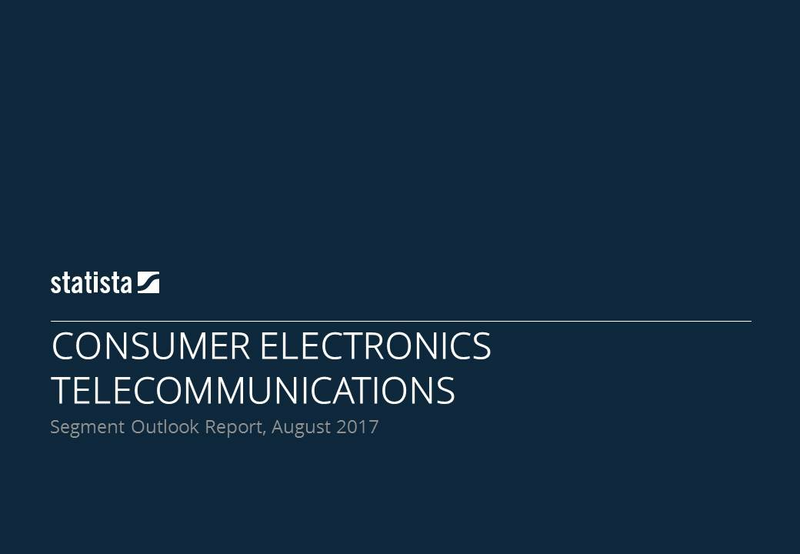 Mehr Informationen finden Sie auf Consumer Market Outlook/Telecommunication.